Q. 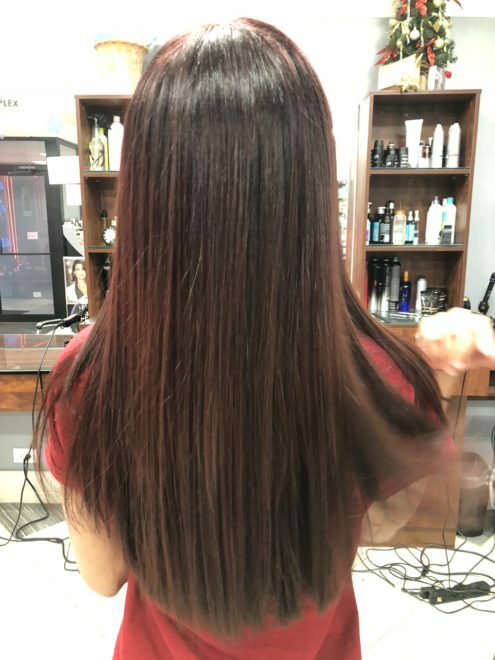 “Keratin bond”, what is it? A. In as early as 1992, Great Lengths International created and patented the “Synthesized Keratin Protein Polymer” bond as a method for applying hair extensions. In summary, the GLI bonds molecular structure resembles that of human hair resulting in and possessing the same characteristics of human hair. Q. 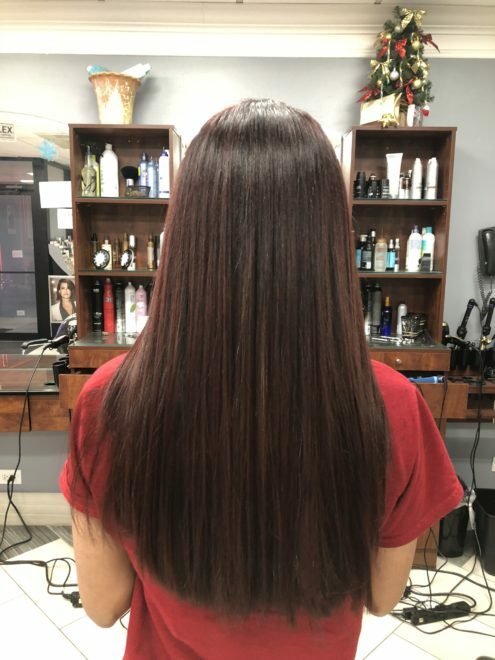 What is the cost of getting Great Lengths? A. Great Lengths is a custom service therefore the price of the application will vary depending on which GL application you’re considering. 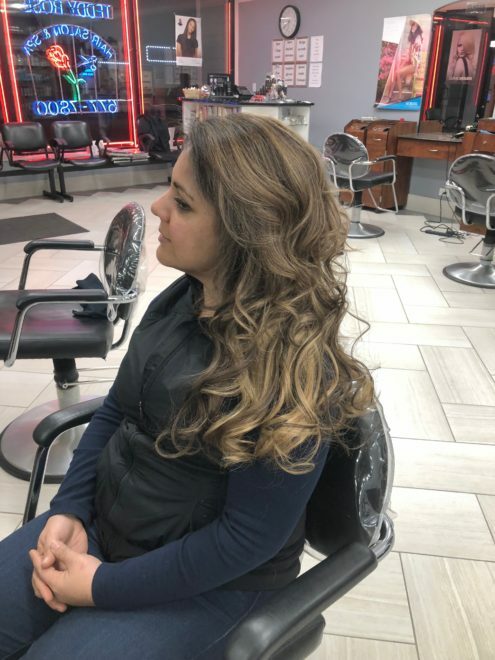 That includes full volumizing, zonal volumizing, lengthening, dimensional color work or any other specific applications. 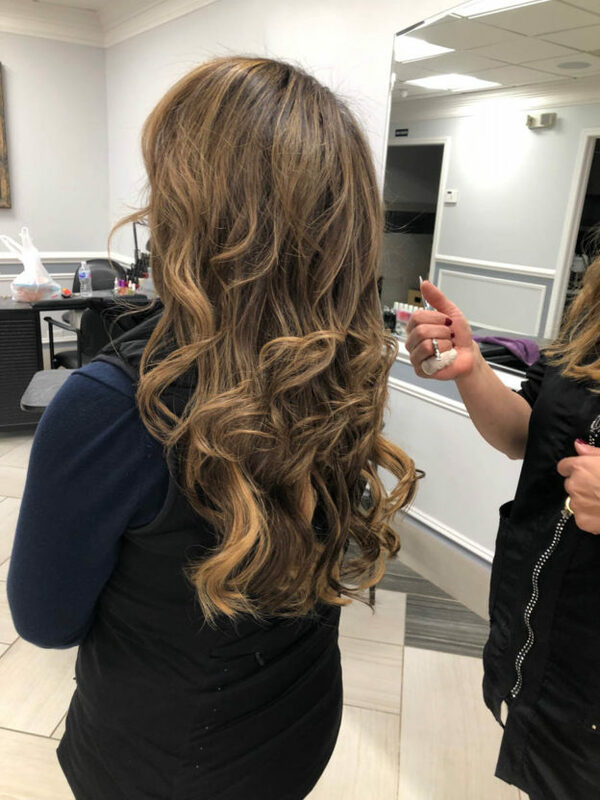 For a more precise and accurate answer depending on the state of your natural hair and desired look, schedule a consultation with our hair extensions specialist. Q. 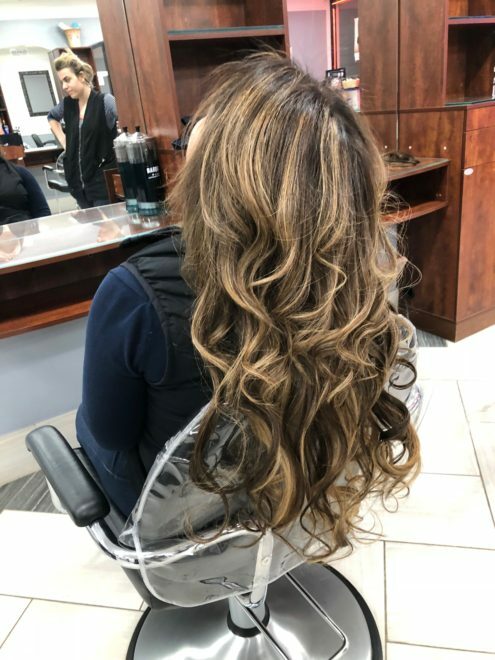 Do hair extensions damage my hair? A. When applied and maintained properly, the application will not damage your hair. The most important aspect for a successful and damage free application always lies in the details of the application. 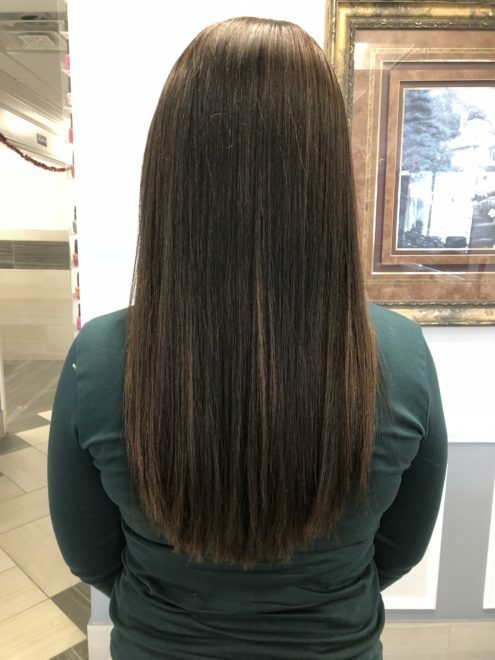 There is one size fits all application technique that works for everyone, as each client’s hair conditions and desired results play a role. 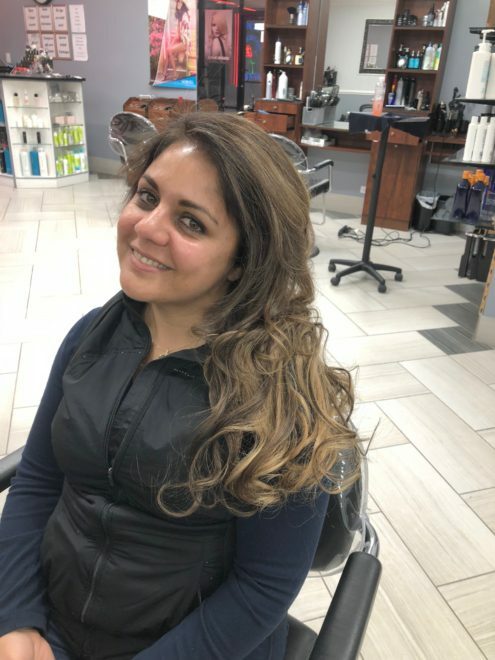 Tape Hair Extensions can be described as an exciting and innovative hair extension method that results in a beautiful and natural look avoiding stress and damage to your hair or countless hours of your time sitting in the hair salon chair. 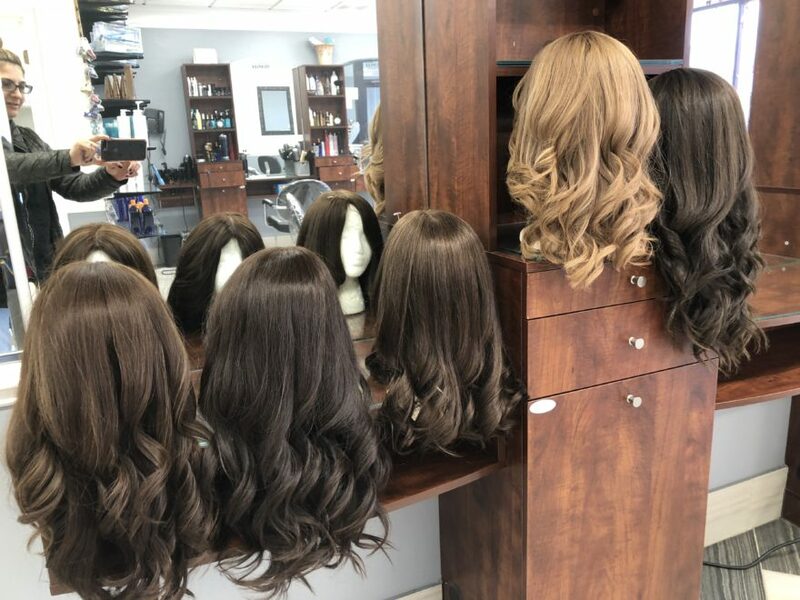 This specific method uses 100% human hair and the use of heat, beads, knots, glue, wefts, braiding or weaving is not required. 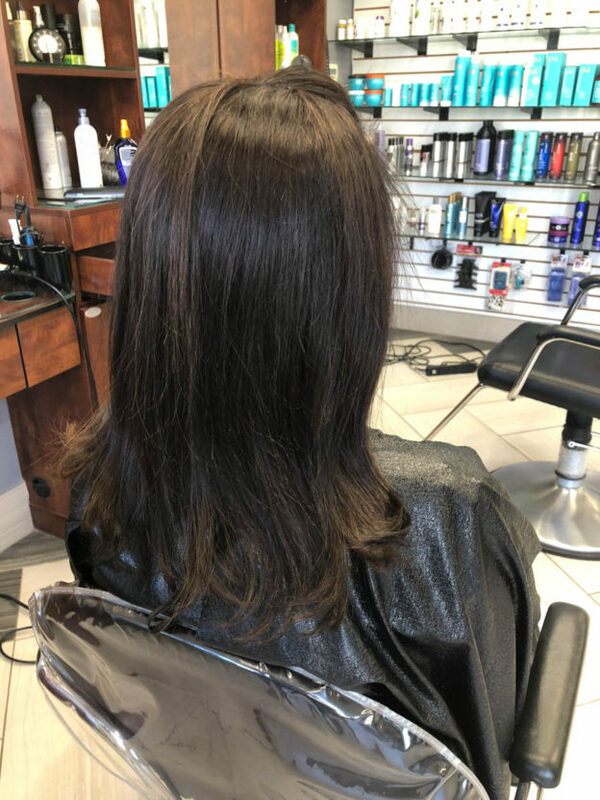 These hair extensions are easily removed with a simple removal solution and the hair is left with minimal to no damage or breakage. Tape extensions are the most seamless, natural and comfortable extensions on the market. They are affordable and there is no tangling, knotting or matting. 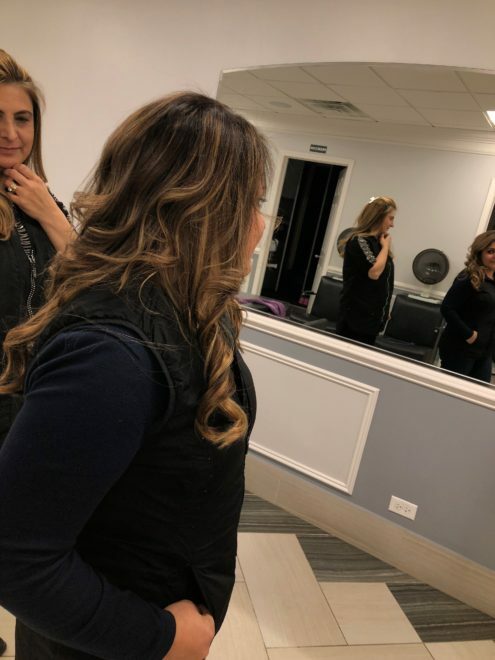 At our Salon, our experts in tape-in hair extensions will consult with you on the most appropriate style, color and length for your hair. 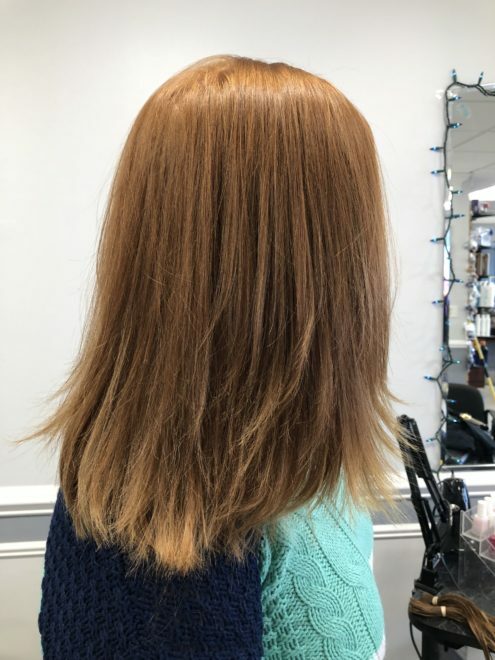 Prices may vary depending on thickness, volume and length desired and will be assessed during your consultation. 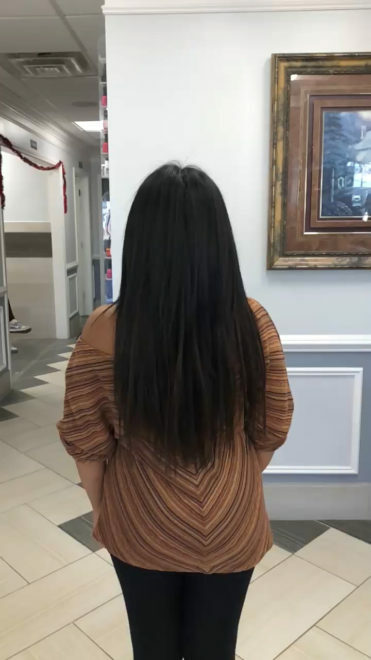 Maintaining your extensions is NECESSARY every 6-8 weeks to keep the condition of your intact and most importantly the condition of your natural hair. Re-applying includes removing, re-taping, cleaning and re-applying the extensions. Q. Are tape-in hair extensions Real Human Hair? A. 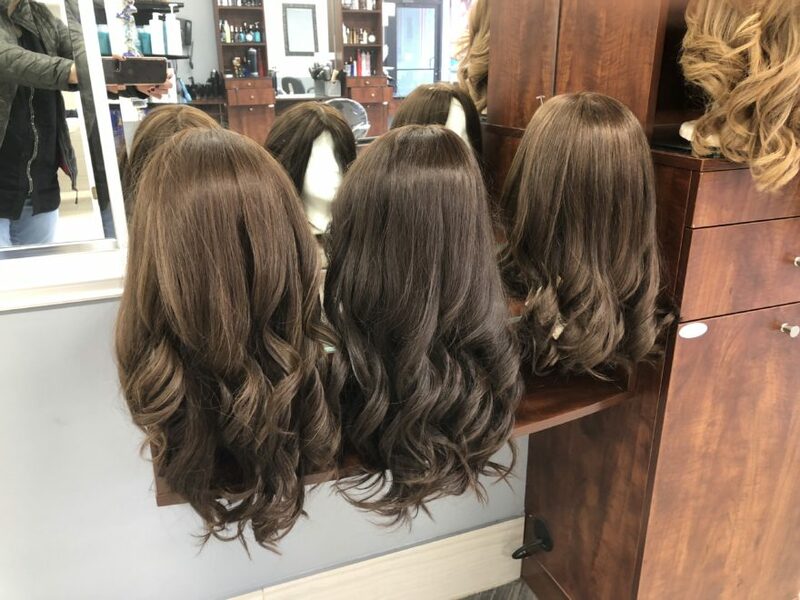 Tape hair extensions are 100% remy human hair which means the hair cuticle is intact and the hair is directed in the same way to prevent the hair from getting tangled and matted. Q. 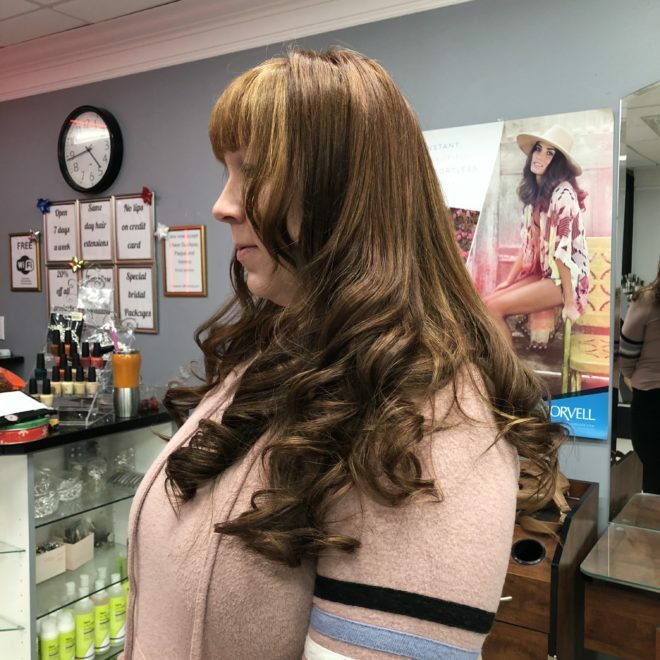 Do tape hair extensions last forever? A. Tape hair extensions unfortunately cannot last forever but will last at least 8-10 weeks. 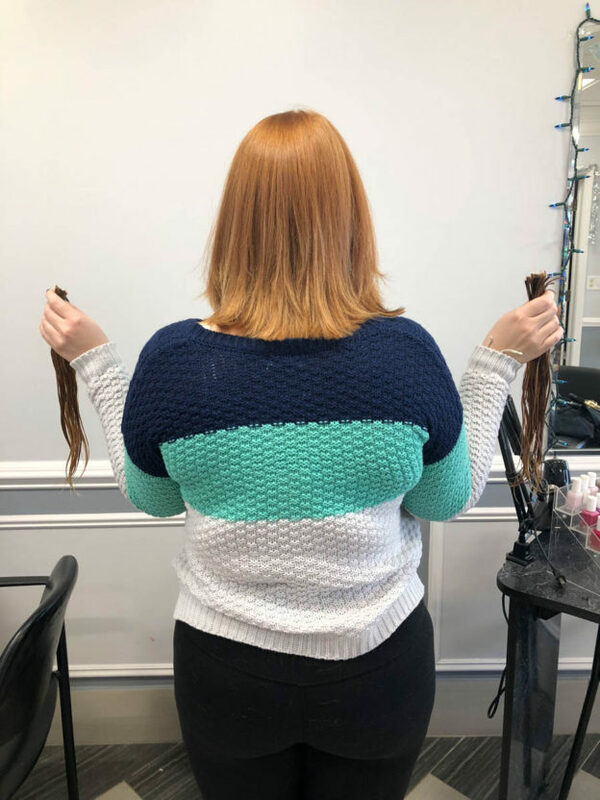 That will depend on how fast your hair grows, lifestyle, heat exposure, etc., but the good news is that the hair can be reused up to 3 times. Q. Are custom colors available? A. Of course, as there are various colors available that can be mixed together and create many different color combinations. Q. Straighten, wave or simply blow dry! Can I do all this to my hair extensions? A. Tape hair extensions are totally fine when subjected to all of the above. 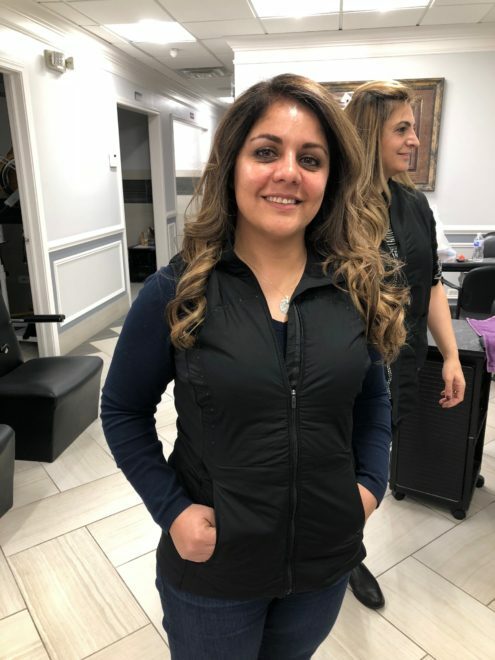 However, when exposed to extensive styling heat the condition of the hair will decrease so you might need to order new hair sooner than expected. Caution: Direct heat on the bonds/ tape tabs should be avoided in order to not compromise the longevity of the extensions. Q. 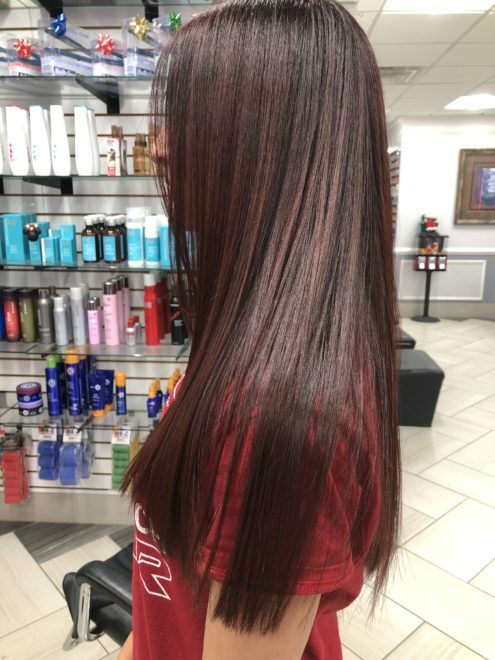 Is it ok to use any type of products in the hair? A. 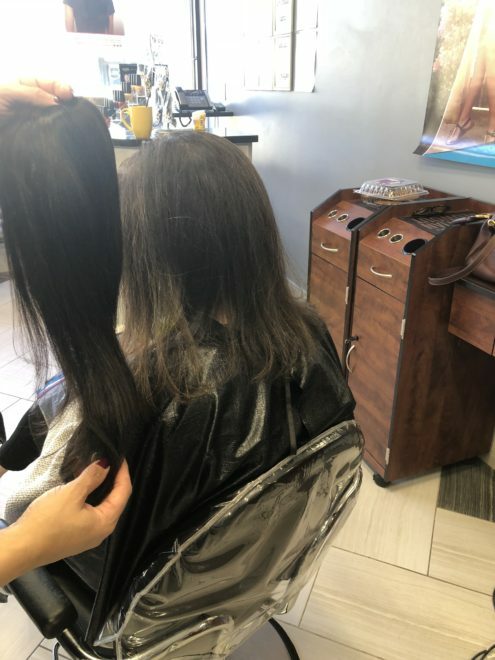 Your new hair can be treated just as your normal hair. Sulfate free shampoo are great to prevent the extension hair color from fading. Conditioners are fine for the mid shaft and ends but should be avoided near the bonds. Products containing alcohol and essential oils should be avoided as well near or around the bonds. Q. 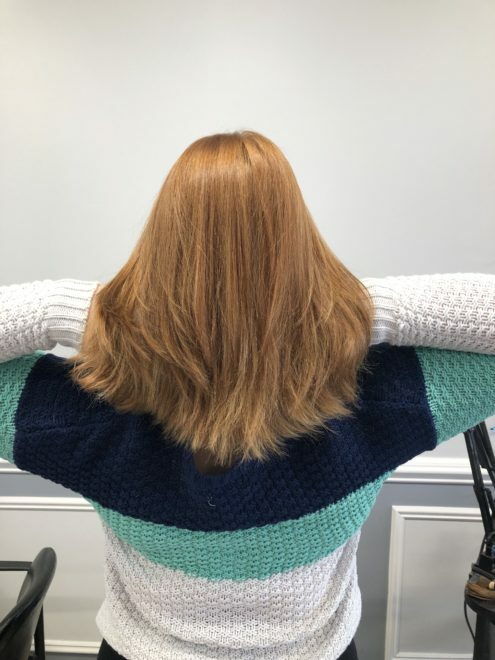 Can I color my roots while the extensions are still in the hair? Absolutely, however please refer to an experienced hair colorist to ensure the integrity of the bonds while retouching you hair color.